Logistically speaking, Quick Base and GSuite are a match made in productivity heaven. First, they work very well together because GSuite is a standard productivity package (email, calendar, etc.) and Quick Base is a workflow management tool. Second, because they’re both cloud based, they tend to talk very well to each other. When you pair them, you naturally increase efficiencies. They’re two key strategic systems that deliver synergy for a much larger return versus each individually. 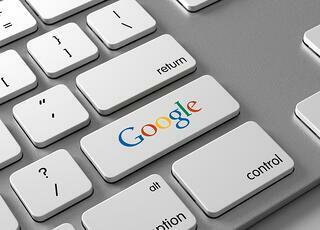 Here are three specific Google integrations Quick Base makes possible. Google Drive Quick Base integration. Our QDrive extension lets you create a project record in Quick Base that automatically creates an identical folder in Google Drive for that project. At that point, you can then see all of the associated documents in that folder. You can also upload multiple files at one time, perform offline uploads of documents via your desktop, and do file attachments with no limit to file size or type or number. You can even give people access to documents or ability to upload even if they don’t have access to Quick Base. Google Calendar Quick Base integration. This integration assists in keeping everyone on the same page by managing all major tasks in Quick Base and letting them show on Google Calendar. It works by letting you sync tasks in Quick Base with your Google Calendar in both directions to keep two systems up-to-date. You can see all tasks, move them, update in real time and more. Gmail Quick Base integration. This one’s a work in progress, but it promises some really nifty functionality. You can track and see emails in a sales application by contact, perfect for CRM applications, as well as seeing all emails in Quick Base. It will also let you create gmail out of Quick Base and view your Google history. As Google continues to evolve its GSuite into enterprise applications, our goal will be to continue to support this increasing demand by finding new ways to integrate with Quick Base.